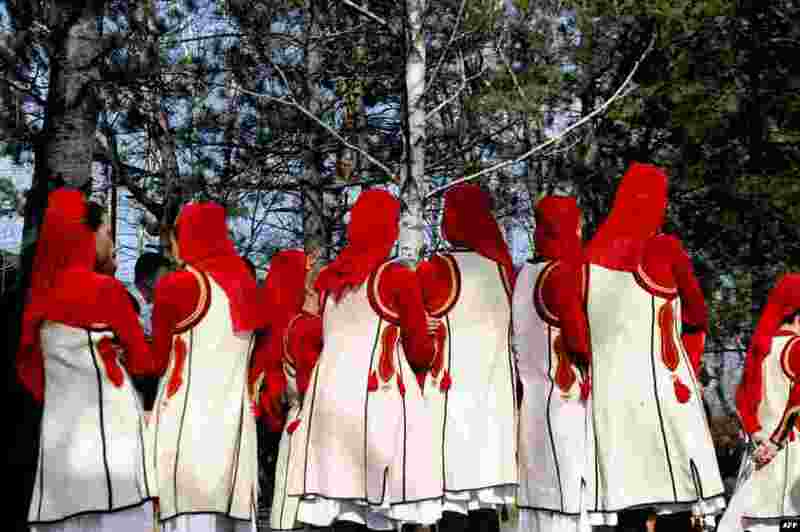 1 Members of the Kosovar folklore group take part in a ceremony in Pristina to mark the 15th anniversary of the killing of Kosovo Liberation Army (KLA) commander Adem Jashari. Jashari was among 45 members of his family killed by Serb security forces in the vilage of Prekaz some 40 kms west of the Kosovo capital Pristina, sparking a full-blown rebel insurgency. 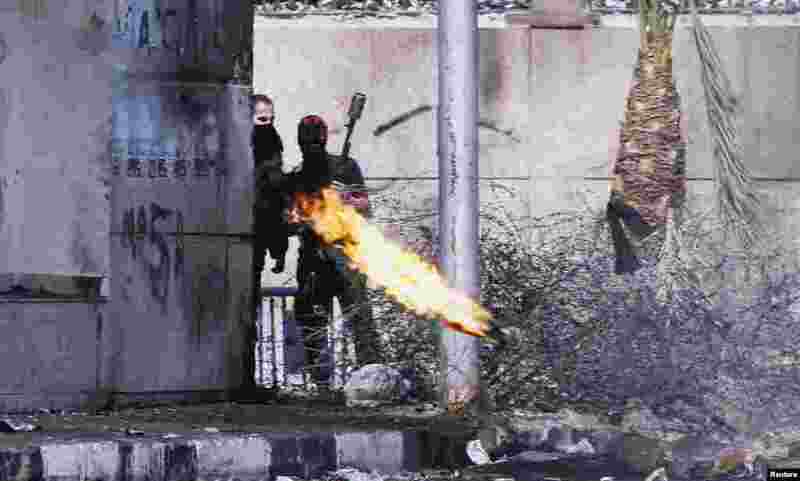 3 A protester, opposing Egyptian President Mohamed Morsi, throws a Molotov cocktail at riot police, during clashes in front of Security Directorate in Port Said, 170 km (105 miles) northeast of Cairo. 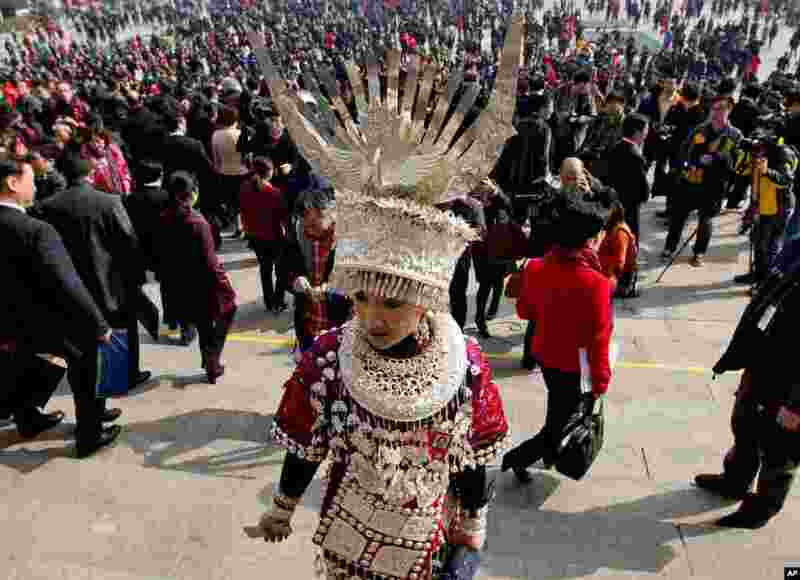 4 A female ethnic minority delegate walks out with others from the Great Hall of the People, after attending the opening session of the National People's Congress in Beijing, China.